Communicating the Importance of Agency Per NAR, clients hire a real estate professional on the simple issue of whether they know you, like you and trust you. Because of the internet and technology, the way that consumers judge you as a professional has changed. 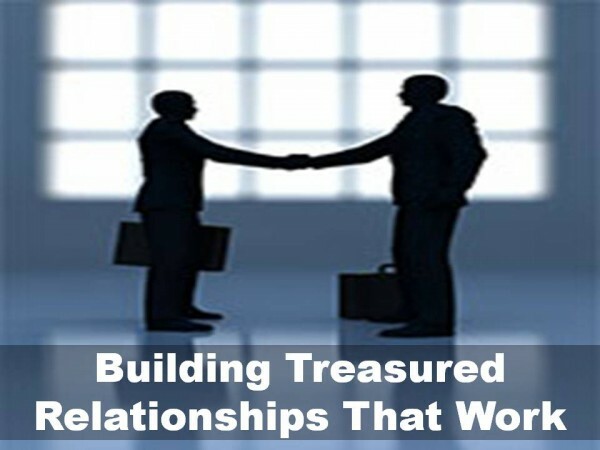 Learn how to effectively communicate the relationship role you play and the services you provide that get results so that consumers select you to represent their best interests in a real estate transaction! Explore with a panel of industry experts how to explain agency and uphold fiduciary duties in today’s market. 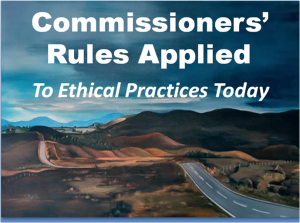 The NAR Code of Ethics and Arizona Commissioners Rules are much more than just a bunch of regulations to be followed. When used correctly they can elevate the professionalism of yourself in the eyes of consumers and your clients. 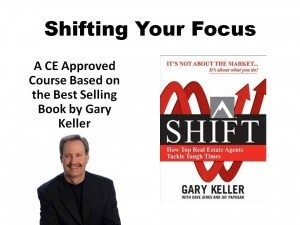 This course was built to explore what it really means to be a professional and what all of us should be doing to heighten the consumer’s perceptions of what we do as real estate professionals. Experience just how you can use the Code of Ethics and Rules to increase your business and build relationships. In Today’s World, Social Media Is Here To Stay Discover where today’s real estate clients are and what they are looking for. Understand just how social media can connect you with them. 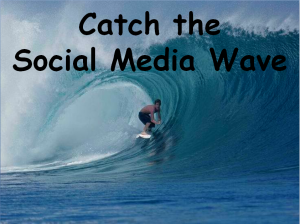 Leave this class prepared to interact in the world of social media! Don’t get left behind. The time is NOW! 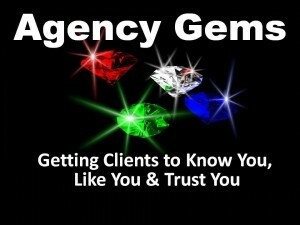 Getting Agency Relationships Right for Buyers Do you want to know why people hire buyer representatives? Are you looking for a better way to explain to them the nature of agency relationships and why they should work exclusively for you? We will share with you step by step how to walk buyers through a real estate transaction in a methodical approach that will let you be the professional real estate agent that you desire. These are practical useful applications of agency principles you will use every day. Your Success Depends On How Well You Educate Your Client In our real estate relationships everything depends on the expectations you set and how well you have prepared and educated your client. You should know how to effectively and efficiently explain to clients the various aspects of the real estate transaction. This class will have you improving your listing presentation and client dialogue based on the things you learn. Maximize the Power of Facebook in Your Business During this 6 hour ‘hands on’ workshop, we will help you understand the power of facebook in connecting and communicating with your customers as well as work with you while you set up a powerful business profile, categorize your friends into relevant database lists, set up a separate business page that is compliant with ADRE guidelines, create consumer dialogues and status posts that work. Bring your laptop for this hands-on-training class and take your business to the next level. What You Didn’t Know About Growing Your Business We will show you easy new ways to find FSBO’s and give you the scripts that work to convert them into clients. It’s easier than you think. You need to know the right questions to ask and the right explanation to give. Give your business a boost by learning how to market and work this important sector of our business. How to Better Meet Agency Obligations on the Internet Do you know what your clients and customers know about neighborhoods and properties? 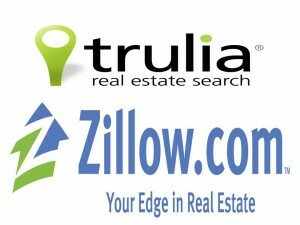 Do you have listing profiles and your properties on Zillow and Trulia so clients can find you? Millions of them are there looking for you. Uncover great answers to the objection “Zillow said ‘My house is worth…” and know how to turn that comment into a raving fan of your expertise. 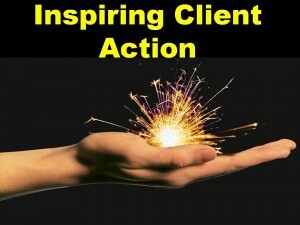 Today more than ever, clients need direction, hope and confidence to take action. The job of a real estate professional is to help them discern what to do with all the information they have at their fingertip so they have the right information to make a well informed decision that meets their needs of buying or selling. About Becoming The Best You Can Be! Agency is all about protecting and promoting the interests of our clients. But what if we do it in a Millionaire Service way when we exceed their expectations, grow our business by serving more customers and develop systems that keep it all together and streamlined. We will share with you proven success models used by top producing agents all over the country who consistently close hundreds of transactions with satisfied clients. This is a one of a kind class that you won’t want to miss! It’s Not About The Market, It’s What You Do! The real estate market is constantly shifting, causing real estate professionals to adjust and redefine their role in regards to agency relationships. Stay ahead of the changes by understanding what it takes to create more orderly and seamless transactions. This is a very eye opening and engaging class that will change the way business is done today. Learning How to Use & Make Videos for the Internet Your colleagues are already doing it. They know how to make a video and send it to their client. They know how to put in music, pictures and narration. You don’t have to buy expensive software or equipment and you don’t need to be a computer geek. We make this easy. You will be amazed at what you can do to take your business to a whole new level. Bring your laptop for this hands-on-training and learn how to shoot, edit and post videos all in 1 day! Agency Insights For Today’s Consumer Panel of experts with many years of real estate experience talk about what it takes to be the best you can be. What are the key characteristics of a top agent? How do they deal with agency issues? Come and get the agency explanations that work and know how to explain complex agency topics like dual agency to your clients in a way that they get it, can use it and you will become more successful because of it. You’ve never seen agency the way your clients do, but you will after this course. This course contains useful, practical applications of agency principles that you will use every day. 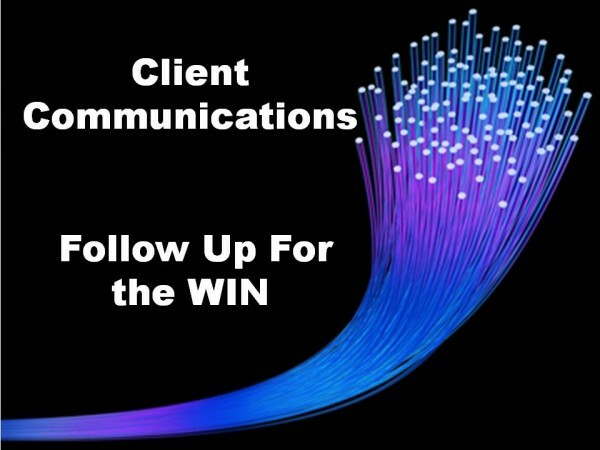 Creating Client Communications That Meet or Exceed Commissioner’s Rule Requirements How does the use of psycho-graphic client profiles fit with Arizona Commissioners’ Rules? We will show you what all that means. We will also share how you can use current technology and tools to communicate with your clients in ways never before possible and we will demonstrate how to do that within the areas of your expertise and in compliance with the requirements of ADRE. Come and explore new and exciting ways and tools. Snippets of Current Violations from ADRE So we read them all. Course Creators has researched all of the current ADRE violations for more than a year and we’ve summarized them for you. Do you know what the most common violation is? Do you know which one has increased the most over the past year? We don’t want you to become a statistic. Let us help you understand how to keep your name out of the ADRE Bulletin. Understanding Why Your Success Is Determined By Those Around You Finding the right people, identifying risks and benefits of building a team and knowing how to build teams properly under the Commissioners’ Rules are all key to your success. Whether you are a team leader, member, thinking about a team, an office manager or broker there is important information here for you. Find out what it takes and how to get there! A Guide to Internet Listing Databases & Services It used to be we just listed the home in MLS. Those days are gone. Today, there are countless new ways to ensure that your listing is exposed to as many potential buyers as possible! And most of them are FREE! This class will show you how to post your listings on Google Base, Craig’s List, Trulia, Zillow and YouTube, just to name a few. Can you imagine the added value that you bring to a seller with such marketing exposure! And one more thing, if you aren’t marketing properties with these tools, then just know that the competition is. Don’t get left behind! 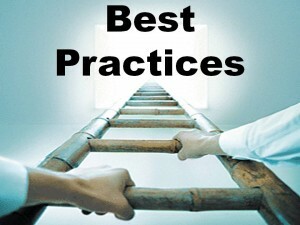 Policies & Procedures for a Changing Real Estate World The world of real estate has changed drastically. Spend your time in a Broker Management class with a focus on what gaps have been left in your policy and procedures manual that need updated. We’ll discuss the changes in our industry, what you need to do to address them and give you sample policy and procedure language that you can modify to fit your practice. Get up to date today! How To Make This Your Best Year Ever! Do you have a business plan that works? Are you confident that your plan will get you to your goals? Have you identified your goals and mapped out how you are going to reach them? No business succeeds without a solid working plan in place. Don’t just let the year and your business happen by accident and default. You can create the year, if you only knew how easy it was to cut to the heart of the matter and get your business plan in place. 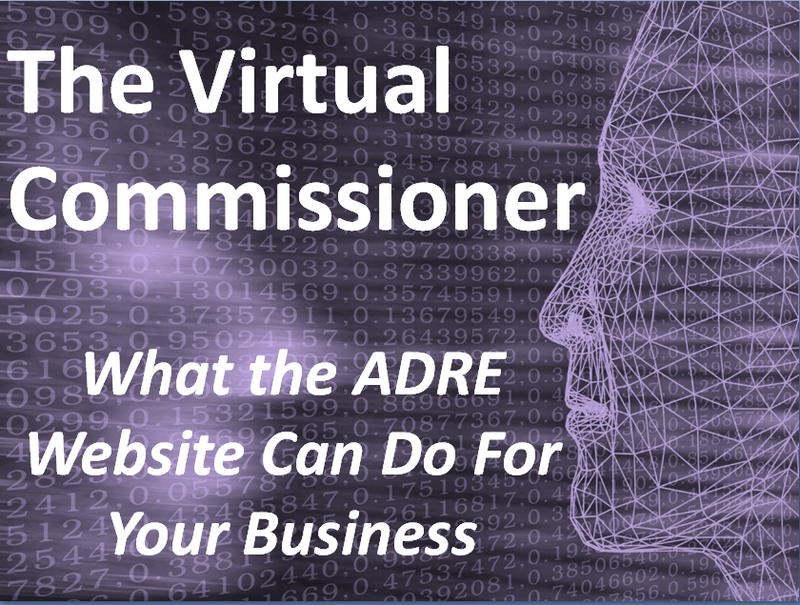 How To Use the ADRE Website To Benefit You & Your Clients You will be amazed at what you are able to do through the ADRE website. You could be receiving automated updates from the Department, have your education posted to your registration card, renew on line at substantial savings and be on top of what is happening in your industry. This is a class full of information you will actually use to become more efficient and more knowledgeable. Find out how to take your practice to a whole new level. Property photos: The key to generating buyer interest! The power to showcase your clients listings! 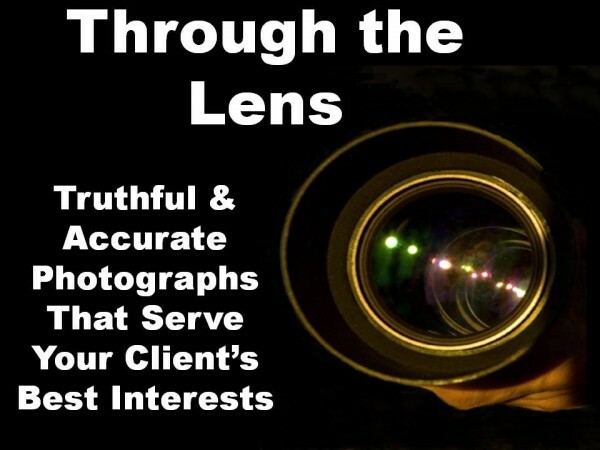 Learn how to cash in on the secrets a professional photographer will share with you so that you can realistically, efficiently and cost effectively take your own photos to best tell the story of a home! Learning How to Use & Make Videos for the Internet Your colleagues are already doing it. They know how to make a video and send it to their client. They know how to put in music, pictures and narration. You don’t have to buy expensive software or equipment and you don’t need to be a computer geek. We make this easy. You will be amazed at what you can do to take your business to a whole new level. Create Your Own Internet Website/Blog in a Day You don’t need to be hiring a webmaster or be paying fees every month for site hosting and management. You can do this easily with the tools in this course and fees of zero. In this Bring Your Laptop, Hands-on-Training class we’ll help you create your own site, teach you how to write posts and insert photos, videos and links. Take this course, then your business will have a whole new modern look today! 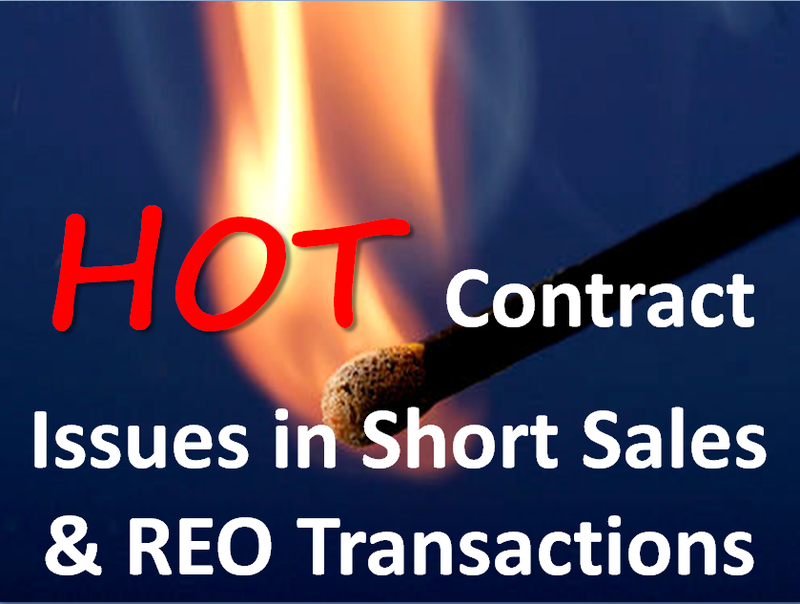 Know the Most Common Pitfalls in Today’s Real Estate Market Know how to successfully handle the most challenging contractual issues that are encountered in short sale and REO transactions. We will be discussing and sharing specific addenda and contract language that will help you protect your clients and remove the doubt, fear and uncertainty that distressed sales create. Find out what the agents and brokers who have closed REO and short sale transactions had to learn the hard way. The Ultimate Listing and Buyer Representation Presentations This ain’t yesterday’s employment discussions. What do you need to know to include in conversations today when conducting a listing presentation or a buyer representation presentation. If you never created one, or if your old one is stale and worn, come and gather great new ideas that appeal to the clients you are trying to serve in today’s world. Know What To Say And How To Say It To Save The Transaction Learn the skills and techniques top agents use to negotiate distressed property transactions to better serve their clients and protect their commissions. We’ll combine negotiation strategy with the popular issue of short sales. Do you know the best strategies to use when working with a seller? Has the loss mitigation department tried to negotiate your commission? Do you know what to say in response? 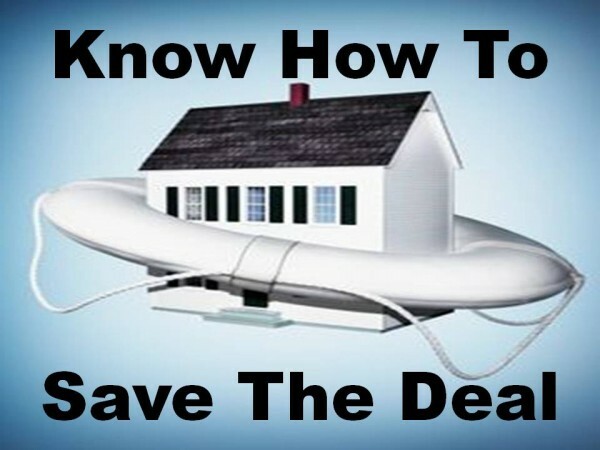 How should we be negotiating the short sale contracts and addenda? This class is full of practical and useful tips that you will put into practice today. How To Get Your Clients Financed in Today’s Mortgage Market When it comes to your client purchasing a new home, you want to be certain that a lender will show them the money that will facilitate that purchase! Let’s go behind the scenes and get a better understanding of the lending industry as we may not know it in today’s market! You will learn tips that will help make the financing easier and more streamlined in your transactions. Know How to Get the Conversation Right Every Time! We all get hung up once in a while on the questions clients ask. Most of the answers are right in front of us in the standard AAR Purchase Contract. Imagine knowing exactly what to say to specific questions that get asked by clients every day. 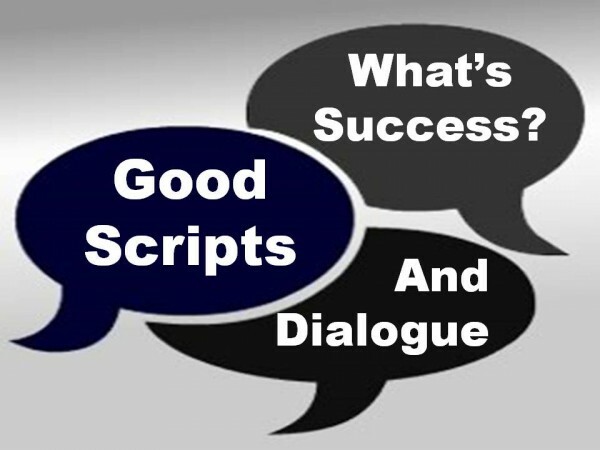 We’ll give you the scripts, dialogue and facts you need to get the conversation right every time. 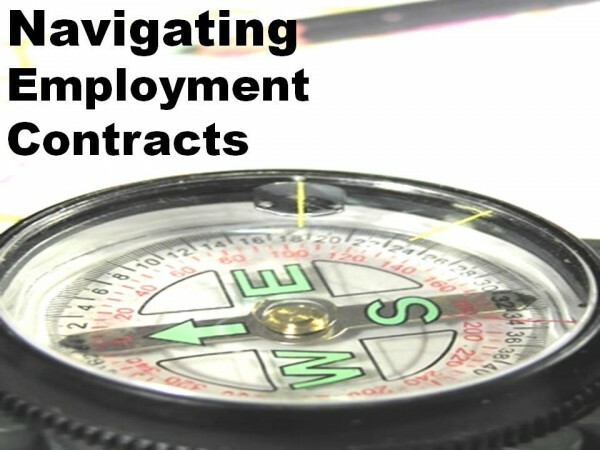 You will also learn things about the contract you probably never knew. This class includes all newly updated changes of the AAR Purchase Contract. 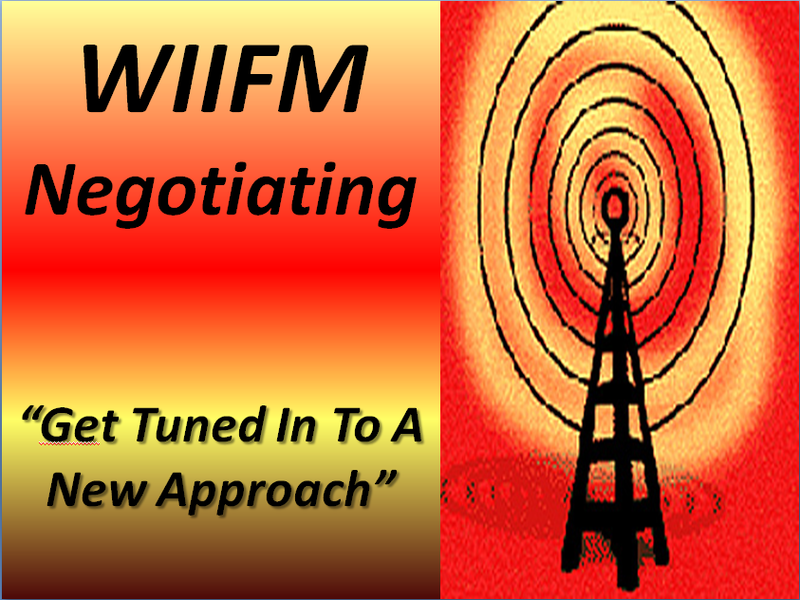 Get The Skills That TOP Negotiators Use WIIFM (What’s In It For Me) Negotiations is a 6 hour negotiation workshop. You will discover a whole new model for negotiating. 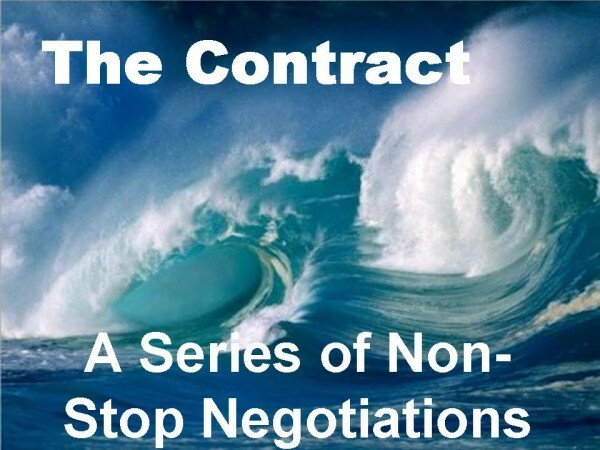 Know the top secrets of the best negotiators including different negotiating styles and techniques. Find out the key characteristics of top negotiators and the top mistakes that inexperienced negotiators make. We’ll show you how to use personality profiles and get to the “Why” underlying nearly every negotiation so that you can craft win-win results. We will even put all of your new found skills to work in practical negotiation scenarios to test the results of your scripts for success. All The Links and What To Do With Them Stop reinventing the wheel. There is an abundance of disclosure information you can link to on the internet and endless possibilities in the ways you can be sharing and disseminating that information to your clients. Find out what the best links are, how to use them and you’ll save time, money and energy in making great looking disclosures to your clients. 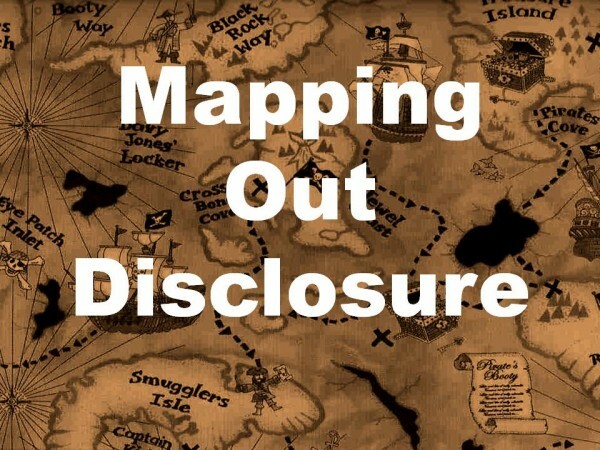 Disclosure Explanations You Can Use & Share With Clients on the Internet A real world disclosure class with tools you can use. Understand the wealth of information at the fingertips of real estate professionals and our clients and customers. We will show you how to increase your productivity and business by sharing disclosure information on the internet. We should all know how to create links and use the internet to disclosure information. Disclose! Disclose! Disclose! 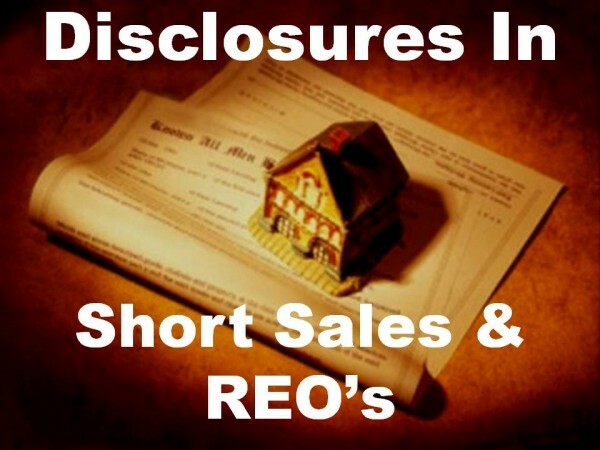 Take advantage of the tools available to you that will help ensure that necessary information is passed on as required in short sale and REO transactions. If you are going to play in this arena, be as informed as possible about the processes and the requirements. Helpful hints galore!! A Practical Guide to Consistent and Accurate Disclosures There is this rule and that rule. Don’t forget this. Be sure to tell them about that. Disclosure requirements are everyone throughout the transaction. If only there were a consistent and accurate map to guide us through everything we are suppose to do in terms of disclosure? Students that have taken this course already have theirs, do you? How well do you know the Seller’s Property Disclosure Statement? Does your client really understand their rights, obligations and duties in regard to disclosure? Want to know what to say to the agent who lists a property without a SPDS? 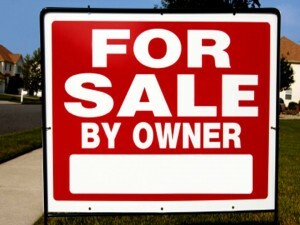 Want to know how to protect yourself when your seller doesn’t want to complete the disclosure? 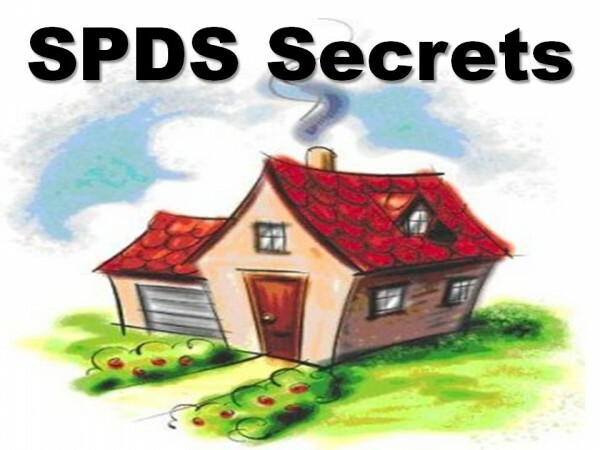 Want to protect your buyers when a SPDS is not available? Create Your Own Internet Website/Blog in a Day You don’t need to be hiring a webmaster or be paying fees every month for site hosting and management. You can do this easily with the tools in this course and fees of zero. We’ll help you create your own site, teach you how to write posts and insert photos, videos and links. Take this course. Your business will have a whole new modern look today! Fair Housing Lessons That You Will Actually Use Everyday No theory. No preaching. No 1960’s Fair Housing discussions. This class is straight talk about what you need to know about diversity in your neighborhood in order to be successful. 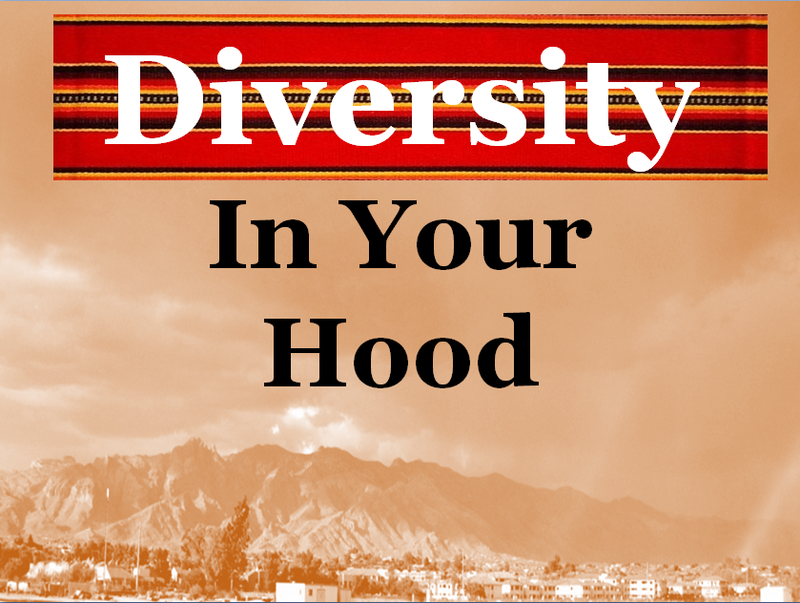 Since all real estate is local wouldn’t you really like to know what diversity means in your hood and how it is affecting the day to day practice of your profession. This is the real world Fair Housing class you have been waiting for. A Guide to the Changing World of Real Estate Fair housing means more when we take it out of the law books and court cases and look at it through the eyes of real people. 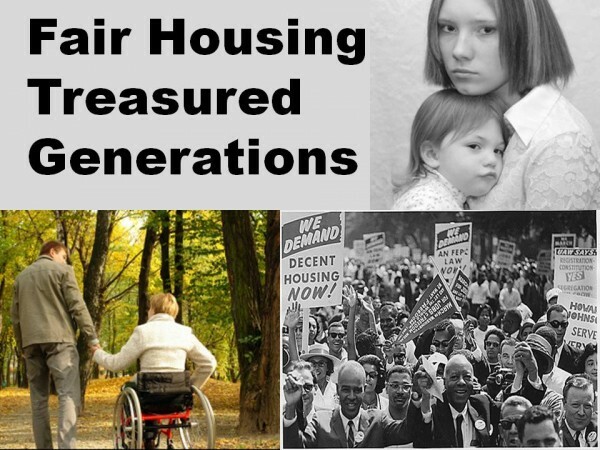 See, hear and feel how fair housing issues have impacted generations of Americans. This is a fair housing class seen through the eyes of real people in the real world. 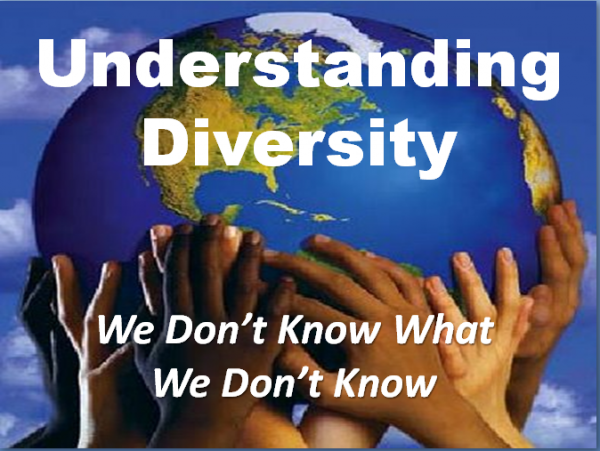 Understanding Cultural Diversity In Your Business Combining research and excerpts from the book of the same name, this class is designed to help you broaden your horizons of this world. It is in the learning of what we don’t know that makes us stronger, more professional, more aware and more fair. Come play and have fun and learn more about the diversity of the world that affects us every day in our business. Guaranteed you will be glad you came to this class! Creating a Masterful Business Plan Do you have a business plan that works? This class will give you one. Create your own future with a well designed plan and we’ll even share with you the tools you have been missing to manage your business in an efficient time saving fashion. You can’t build or grow it without a concrete plan in place. You never knew that working “On” your business could be this much fun and profitable. The Greatest Sphere of Influence Building Tool on the Internet Today In today’s real estate world social media is here to stay. You need to be where your clients are and that is interacting in the world of social media. LinkedIn is the ultimate professional networking site. 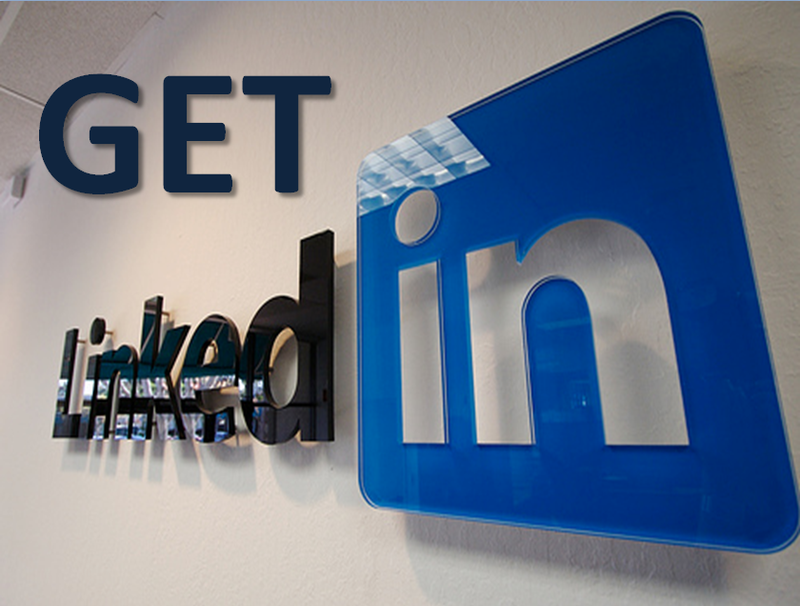 Create a powerful presence in LinkedIn, build your online resume, and take deliberate action using LinkedIn search mechanisms. Don’t get left behind, start NOW! 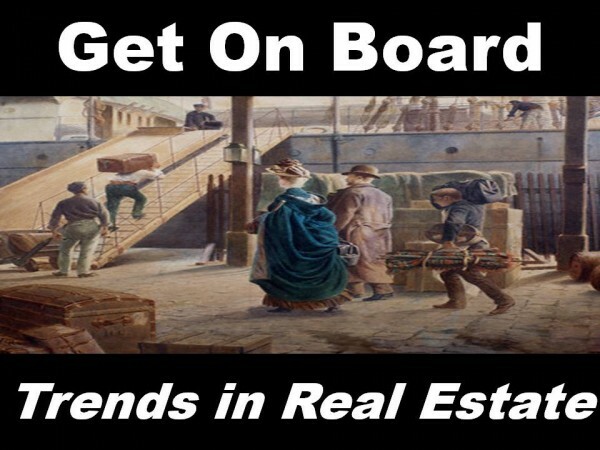 Eye on the Future and Present of Real Estate Real estate is changing at lightning speed. 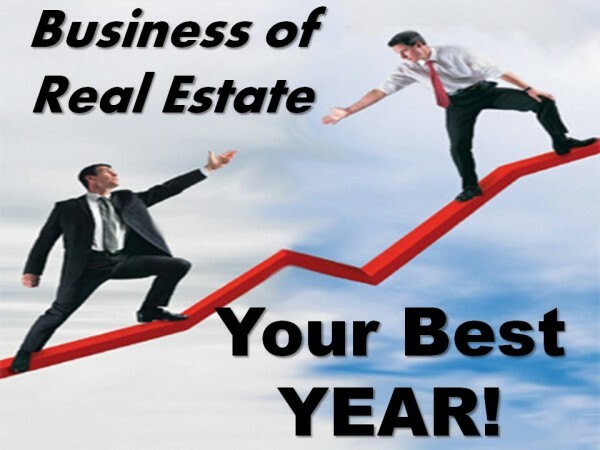 Those who dominate will be those who are on top of all the current trends in real estate. Do you know how your customer’s mobility is going to affect your business? Have you learned the secrets behind QR codes and MobiTags? How are customers finding you and what do we all need to know about the future of our profession? How to Take Full Advantage of FHA in a Rehabilitative Market In a distressed market, buyers are looking for ways to be able to make the repairs and rehabilitation on a property at the time of purchase. 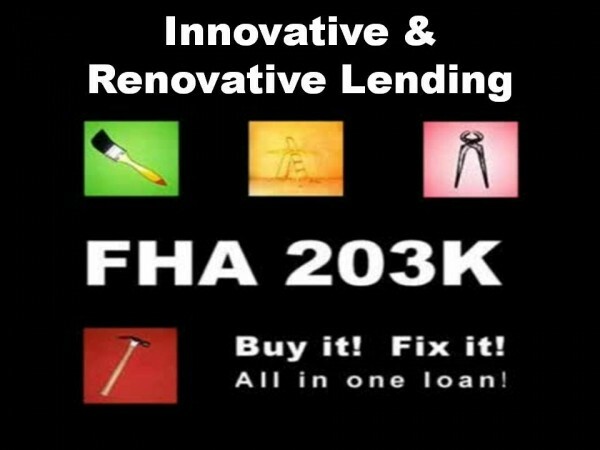 The FHA 203(K) program is gaining a lot of traction. 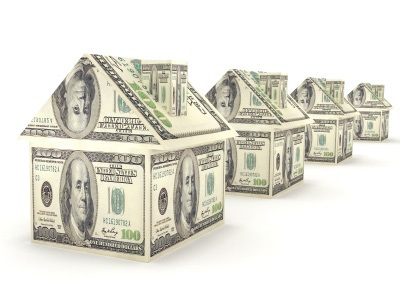 FHA loans continue to lead the market. Do you know the current requirements for these products and how you can use them to help your clients and close more transactions in the months ahead? This is information you need in your arsenal. Learning the Easy Way to Turn “NO” into “Yes” Stop fearing client objections and start embracing them. Your only struggle has been the lack of information and scripts to deal with the most common client objections. We have them and we want to share them with you! These responses are tools you will use every day to increase your business, your bottom line and your client’s satisfaction. Knowledgeable Investors Didn’t Get Hurt! 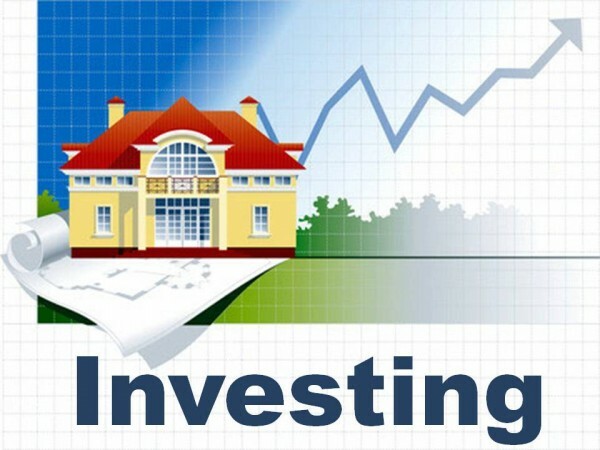 Now more than ever we should all know the basic principles surrounding investments in real estate. There are tried and proven methods that will safeguard investments no matter what the market. Whether you are an investor, assist investors or just deal in residential sales these are the principles which should be at your fingertips. 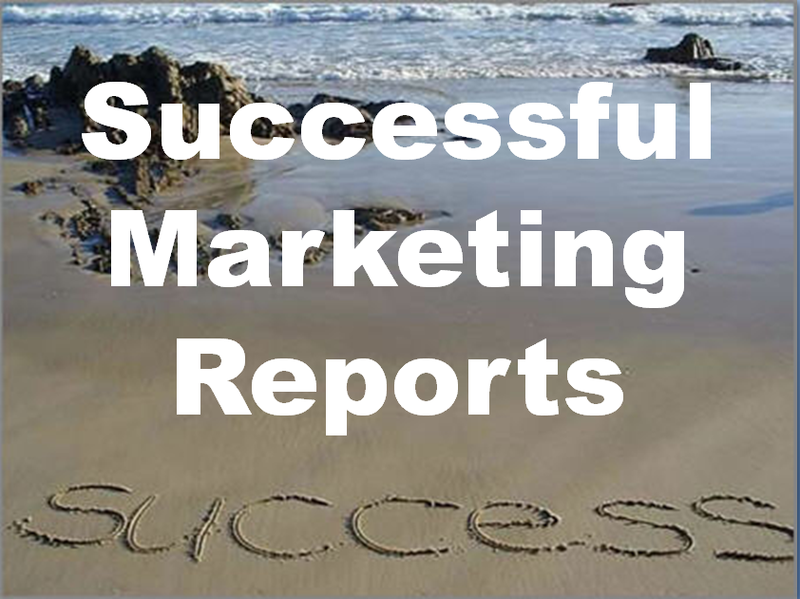 How To Use NAR Profiles of Home Buyers & Sellers To Increase Your Marketing Edge Buyers and sellers tell us precisely what we need to do in order to get them to hire us and be satisfied customers. 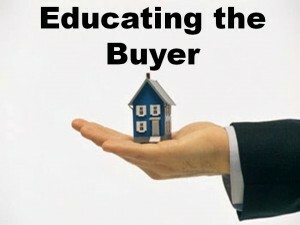 That information is in the NAR Profile of Home buyers and sellers. Use the power of those statistics to increase your conversion ratio and serve your clients with ease and success. 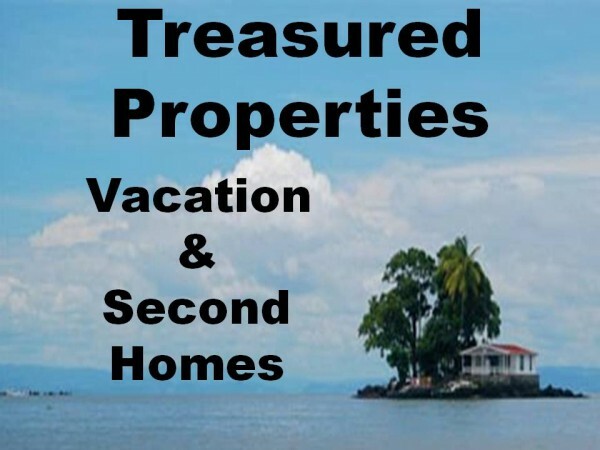 Understanding the Vacation/Second Home and Investor Property Market Investors and second home buyers are coming back into the market. Do you know the characteristics of the homes that they are buying? Do you know the characteristics and demographics of both investors and vacation/second home buyers? Have you begun to take your fair share of this portion of the market? Do you know what is important to meeting and serving the needs of this market sector? 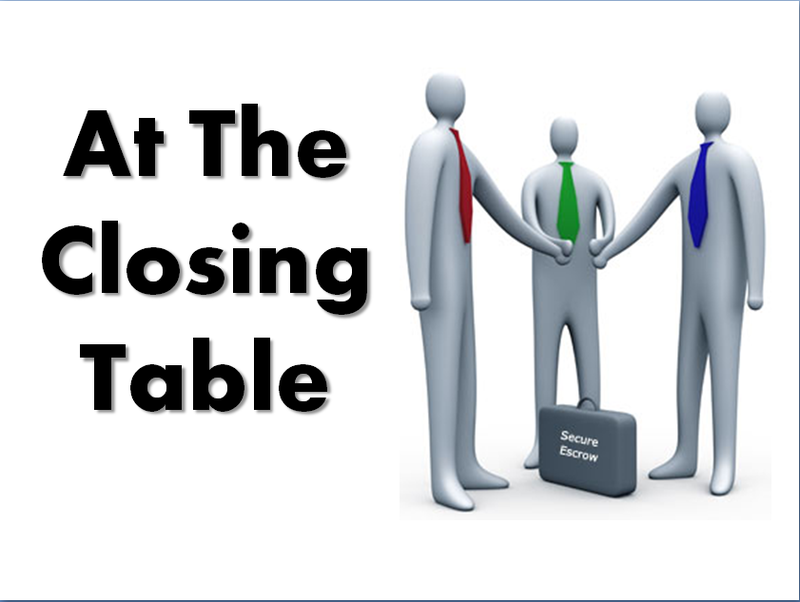 How To Prepare Your Clients for Closing Success Practical issues from the real world of real estate closings. Hear what escrow officers have to say about streamlining your transaction, removing roadblocks and dealing with the requirements page in the preliminary title report. Understand the changes surrounding the new HUD-1 Settlement Statement and avoid the most common issues that delay and frustrate the closing of a real estate transaction. A Guide to the Legal Issues We can show you how to build treasured relationships with your clients and the settlement service providers that you work with everyday. 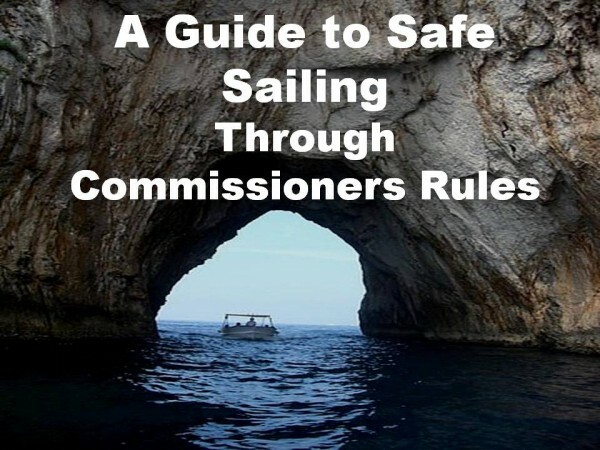 We will teach you not only how to avoid the legal pitfalls of the rules and regulations, but also show you how you can interact effectively, stay in compliance and better serve your clients with the relationships that you create. We live in a rapidly expanding sharing social media world. 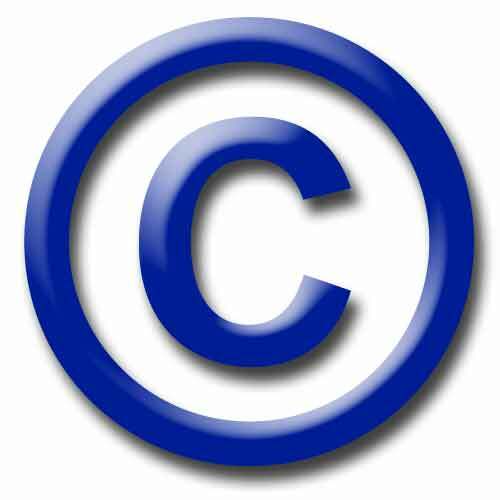 Everyday the debates rage about copyright, fair use, the public domain and the use and spread of information on the internet. Let’s start with some basic facts that lie at the heart of the debate and dispel some of the most common myths so that you can adequately represent your clients best interests while protecting yourself, your advertisements and your broker. A Cutting Edge Way to Guide Your Client Through A Transaction! Save time! No more repetitive explanations. Your clients are watching thousands of videos a month. Why aren’t they yours? Find out how you can explain various parts of the transaction to your clients using the magic of video. No expensive equipment or software to buy. The tools are at your fingertips. This is where our industry is going. This is your chance to get ahead of the curve and deliver state of the art service to your clients. Get command of your future in a class that will help you become more efficient. 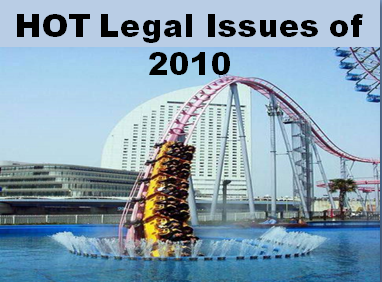 Details of Risk Management That Affect Us All Be on top of the hottest legal issues in real estate. Does your company have a social media policy? Do you? If you want to avoid becoming a statistic then you should know the most common ADRE violations. We will tell you what to expect and we will help you “Get & Use” important risk management concepts that will help you avoid a roller coaster ride in your business. It’s not enough to make good money; you also need to know how to keep it. 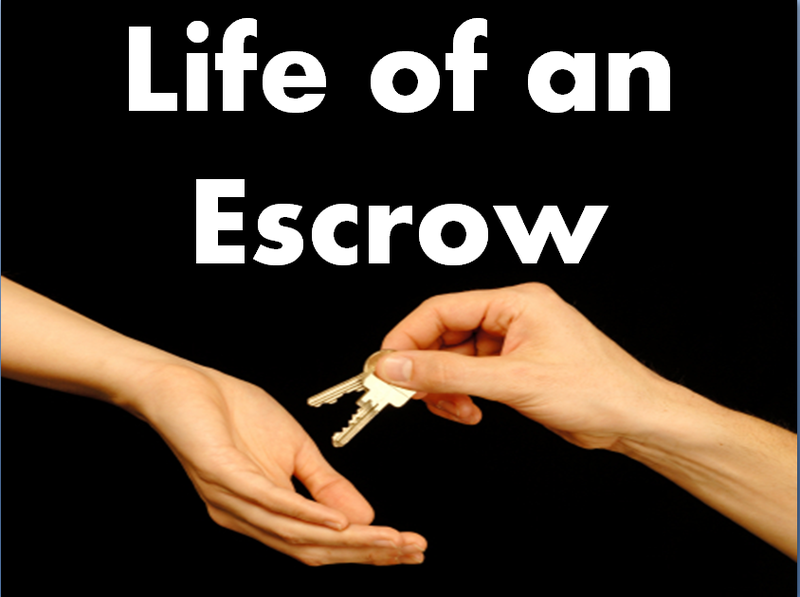 Know What Happens Behind the Scenes From Open to Close Your entire transaction spends its life in escrow. Now you get to go behind the scenes and discover what is really happening behind those closed doors. You will get it and come away with information that you can use and that will make you more successful because of it. 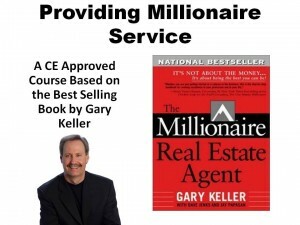 Featuring exclusive Course Creators’ interviews with title and escrow professionals. You and your client should know what they know about your transaction. Learn How To Build Your Business Without RESPA Violations Every real estate settlement service provider needs to know how to market their services and build relationships with other entities in the industry without jeopardizing their business. 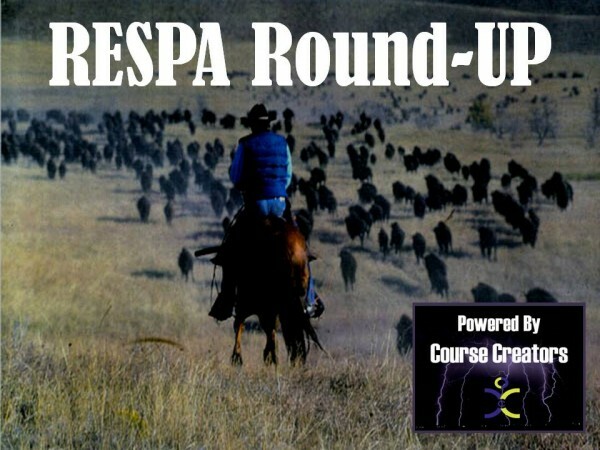 This “Real World” RESPA “Case Studies” class will help you build your business in a way and manner that avoids violations of the Federal Real Estate Settlement & Procedures Act. 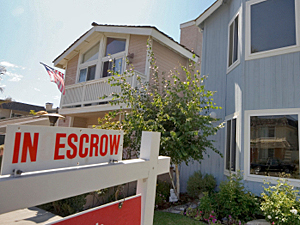 The Best Real Estate Professionals Know How to Solve Problems Opening escrow takes a contract and a check. Closing escrow takes skill, knowledge and expertise. We make sorting through preliminary title requirements easy. 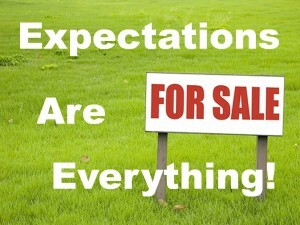 Every real estate agent should know the reasons behind certain title requirements. Full of practical real world examples and tips from actual escrow officers and title professionals regarding the meeting of certain requirements to avoid costly delays and leave your client happy and satisfied. 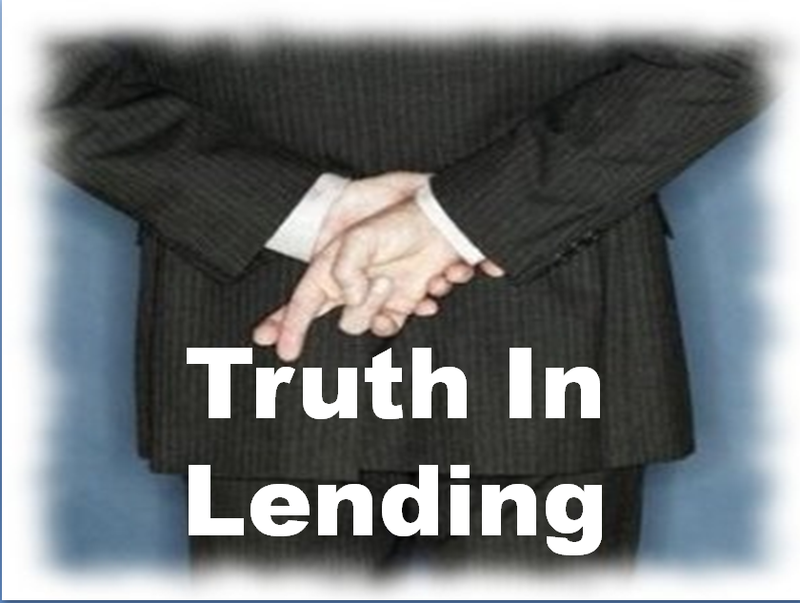 What Everyone Should Know There are several open cases of loan fraud pending in our jurisdiction. Do you have policies and procedures to keep you and your company from becoming a statistic? Know what activities and actions are getting your colleagues in hot water and know what you can do to avoid it.